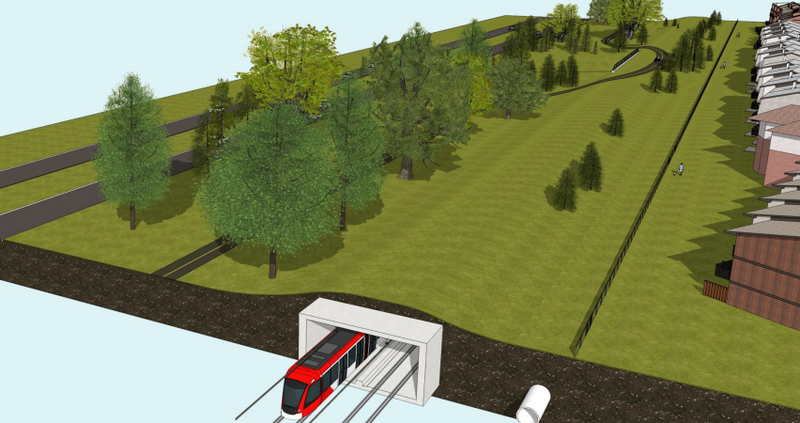 In its shotgun announcement yesterday, the National Capital Commission laid down the law on Ottawa’s light-rail extension plans from Dominion to Bayview stations: A deep tunnel within the current alignment, or a path across Rochester Field leading Richmond Road—where it would, presumably, also head into a deep tunnel. The obvious commonality here is the complete burial of the light-rail line. These options, which the NCC “invited” the city to consider, brought to mind an interesting point made to me during the 2013 Car-Free Day street party. A woman there discussed the city’s preferred alignment with me, and expressed her dismay that the beautiful scenery of the Sir John A. MacDonald Parkway was being taken away from transit users. Her point was that the users of transit, many of whom are lower-income residents of our city, were being buried underground in order to preserve the “experience” of private automobile drivers who use the Parkway. The woman pointed out the fact that as buses today drive along the Parkway, riders are often visibly relieved by the vistas of trees, greenery, and the Ottawa River. Many look up from their phones, books, or magazines and out towards the Gatineau Hills, breathing more deeply and seemingly releasing tension from their daily activities. As a user of the line, this is an experience I can testify to; I often prefer to take an inside seat on the right side of the buses, where I can get a better view out the window. The city’s preferred plan involves a partially buried line along the Parkway, and it takes our transit vehicles—and the people within then—and pushes them underground. The NCC’s two options would take it one step further, forcing them even deeper underground and out of sight. One of the NCC’s conditions was that the city achieve “minimal visual impact” and maintain the “user experience” of the Parkway corridor. Their recommendations fail to acknowledge that OC Transpo riders are also users of the corridor, and they should be allowed to enjoy it as well. Although it’s easy to forget, there are people inside the OC Transpo vehicles. They are at least as entitled to the Parkway’s scenery as private automobiles that also use it—and perhaps more entitled, since drivers must remain focused on the road while riders are free to take in the sights. Ottawa’s western light-rail extension needs to take ecological and community considerations into account. But it also needs to consider the desires of the riders of our transit system. A very good post, Peter. I've had much the same thoughts as your correspondent. I used Calgary's CTrain for a couple of years and the worst parts of it from a passenger perspective were far and away the underground sections, albeit mercifully short. While light rail is generally quiet on the surface, both for passengers and those outside, in a tunnel it's really noisy. By contrast, the most pleasant parts of the CTrain are when it was above ground and you get a good view of the city from the top of the river escarpment north of the downtown. 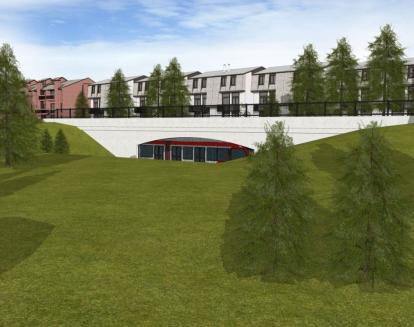 I was also impressed with how easily the CTrain could be fitted into residential areas, something that we in Ottawa are unfortunately disinclined to do. It's for these reasons that I really don't get the opposition and I have to say I'm very dismayed at the attitudes of the people who live just a mile or so west of me.